Your Hotel Kyriad Troyes Centre is an ideal place to enjoy the charms of the historic centre of Troyes and the tourist attractions of our region. Ideally located between the A5 and A26 motorways, our hotel is 1.5 km from the SNCF station, 2 km from the Parc des Expositions, 5 km from Troyes-Barberey airport, and only 3 km from the famous brand centres. This establishment offers a modern and stylish environment, comfortable and functional rooms with quality facilities, it provides the ideal setting for business trips, sports trips and tourism in the region. 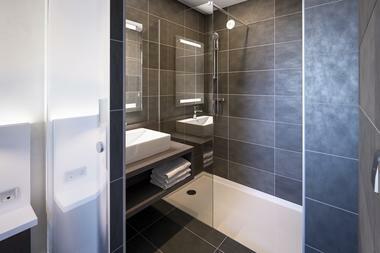 For your comfort, the hotel offers a 24-hour reception with a night watchman, a paid underground car park, free Wi-Fi connection throughout the establishment and all hotel facilities are accessible by lift. 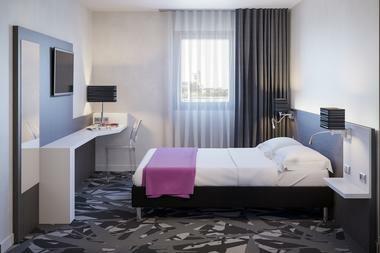 We have 2 meeting rooms that can accommodate up to 69 people with a panoramic terrace overlooking the cathedral of Troyes. 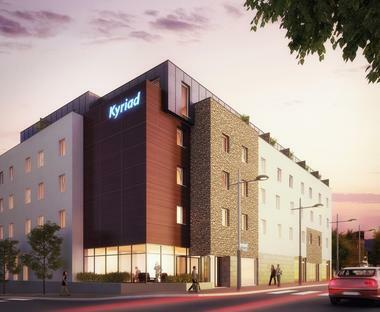 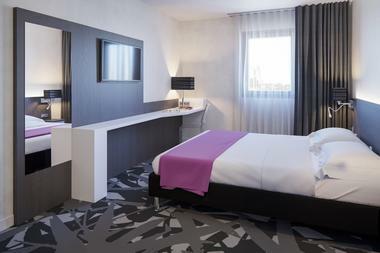 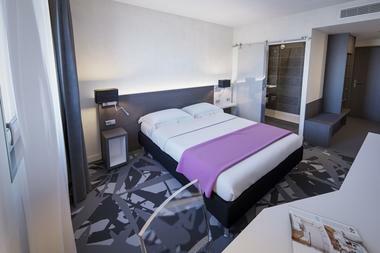 Your Kyriad hotel Troyes Centre offers a modern and stylish environment, comfortable and functional rooms fitted with quality furnishings, making it the ideal setting for business trips, sporting events and tourism in the region. There is no review about Kyriad Troyes Centre, be the first to leave one !